Click on item 52B in the shopping cart to buy this book. Even fifty years later there are still important stories waiting to be told about how humans first walked on another world; such as the one in this book. Take a trip back to the 1950s when the Chance Vought Company, builders of some of America's top fighter aircraft, were quietly figuring out how to get men to the moon using something they called Project MALLAR. It is the story of a team of engineers who built some of the most sophisticated space simulators in the world, where almost all of the Mercury and Gemini astronauts learned the art of spaceflight. This same team produced the first serious plan to use modular spacecraft and a technique called Lunar Orbit Rendezvous to make it possible to get to the moon. This book also reveals how for several years rocket genius Wernher von Braun overlooked his own ideas, before having them reintroduced back to him because of Project MALLAR, and how Vought's fighter aircraft weaved in and out of the Apollo story and then contributed to almost every major airliner in the sky today. Included are rare illustrations, some from recently declassified reports, of the earliest designs for the rockets and spacecraft that led to the greatest technological achievement in human history. 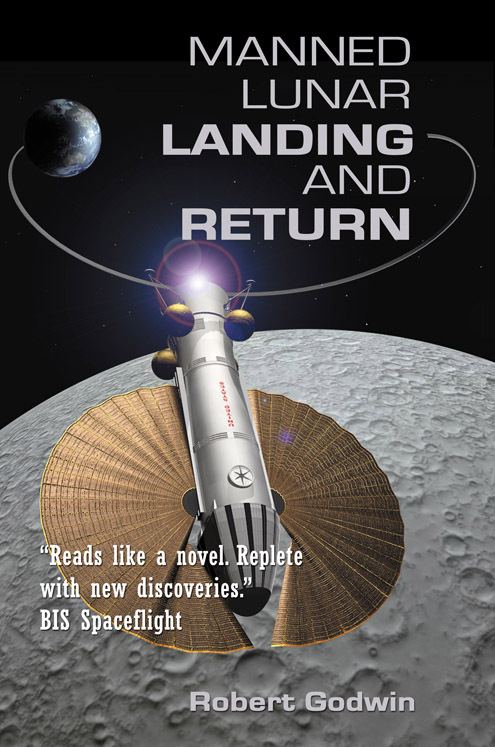 In Manned Lunar Landing And Return, Robert Godwin takes the reader back to the time long before President Kennedy made his famous proclamation to reach for the moon and reveals one critical thread in the trail of genius which ended in the Sea of Traquility. SEE THE REVIEW IN THE MAY 2019 ISSUE OF BIS SPACEFLIGHT!